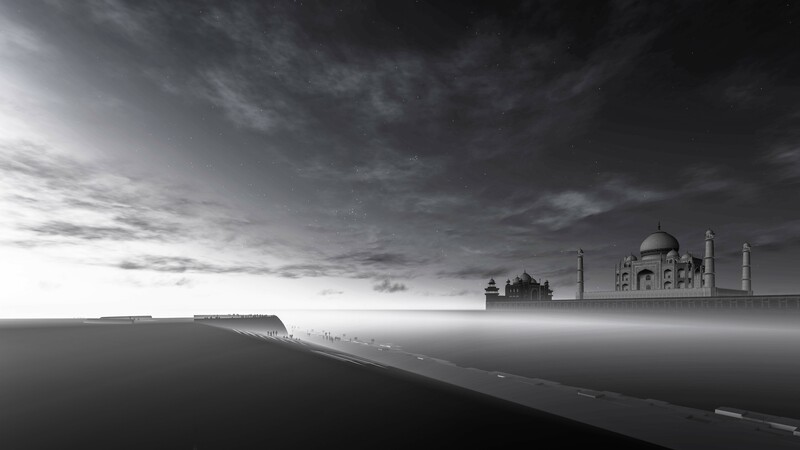 Black Taj - International Competition at Agra by Innate studio - ArchitectureLive! The intervention attempts to celebrate Taj Mahal as an epitome of an architectural poetry and physical manifestation of a soulful proposition of the mighty builder Shah Jahan. 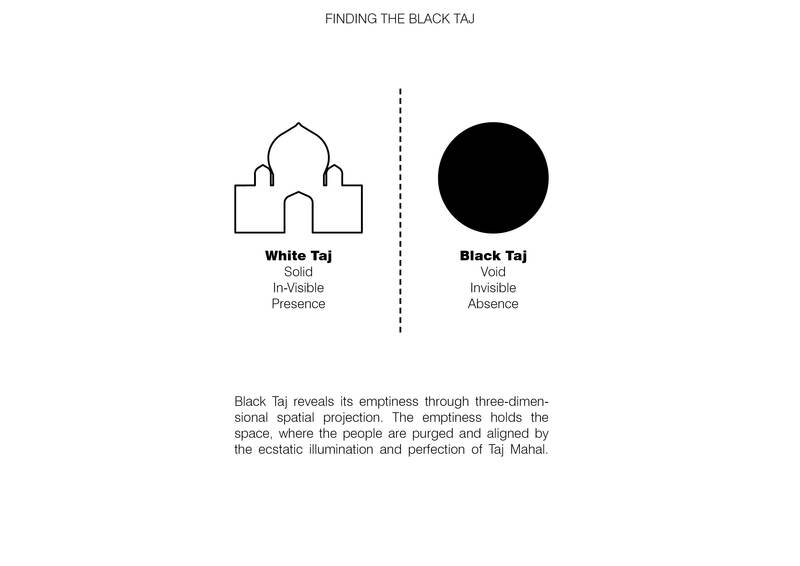 Whereas, the Black Taj reveals its emptiness through three-dimensional spatial projection. 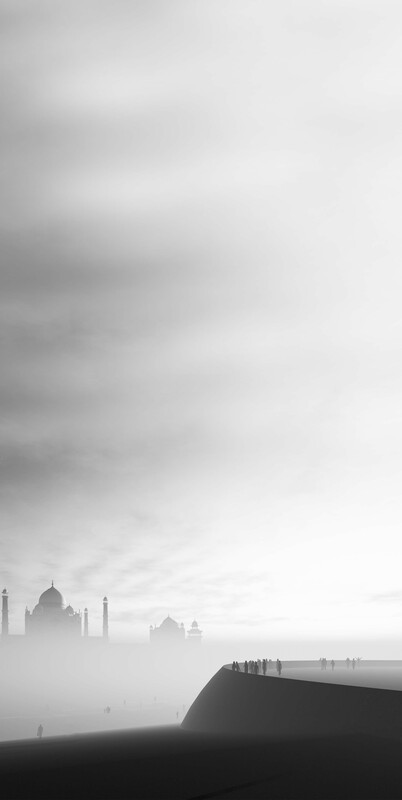 The emptiness holds the space, where the people are purged and aligned by the ecstatic illumination and perfection of Taj Mahal. The obsessive insistence in refining the space that is bold yet calm, as a force that is able to penetrate and reveal the mystery of the human condition. 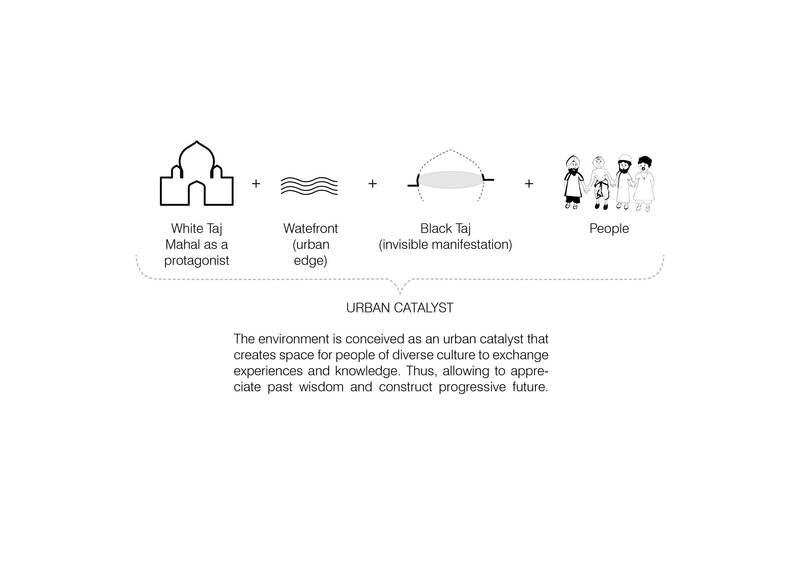 The environment is conceived as an urban catalyst that creates space for people of diverse culture to exchange experiences and knowledge. Thus, allowing to appreciate past wisdom and construct progressive future. Q.What Proposition have you chosen for the black TAJ while dealing with the problem given in the brief and how does your design justifies the proposition? E.g. Proposition: Taj was supposed to have a twin. A. Revealing the absence and emptiness through three dimensional spatial projection. 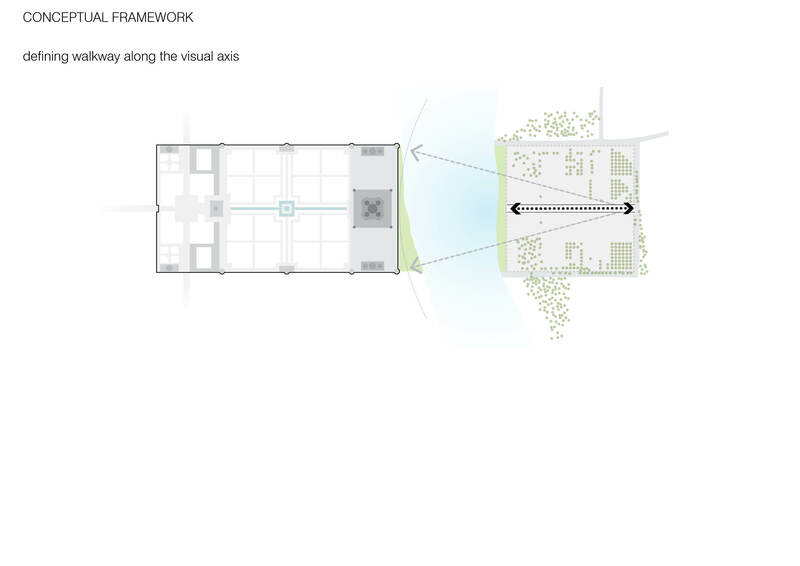 In a way, the spatial quality compels its visitors to the state of contemplation and self-reflection. Q. How your design intervention fits best in the present/modern context while keeping the legacy of TAJ Mahal intact? A.The intervention attempts to celebrate Taj Mahal as an epitome of architectural poetry and physical manifestation of a soulful proposition of the mighty builder- Shah Jahan. 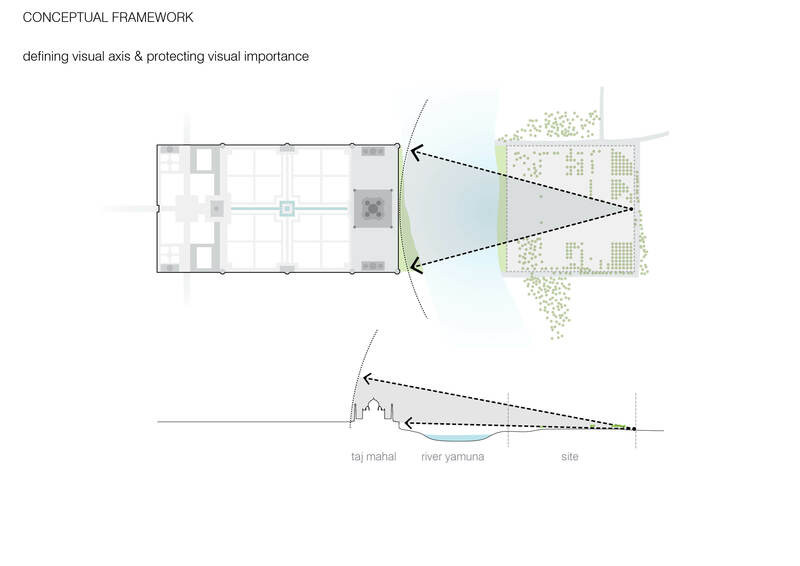 The proposal is conceived to be modest and capable of respecting the integrity of the place, yet be powerful enough to create an important modern symbol. 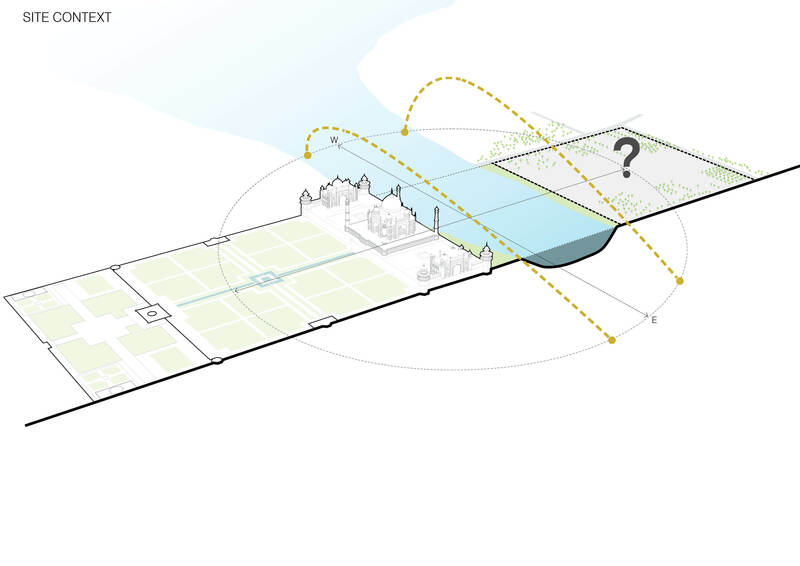 Q.What issues have you tackled through your design intervention and how? A. 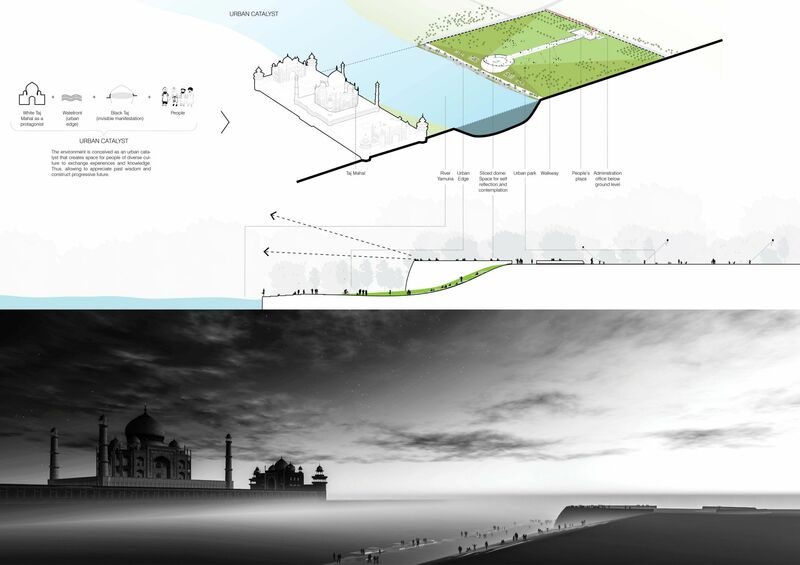 Greatest challenge was to preserve the visual integrity of the Taj Mahal and intervening with the fragile ecosystem. 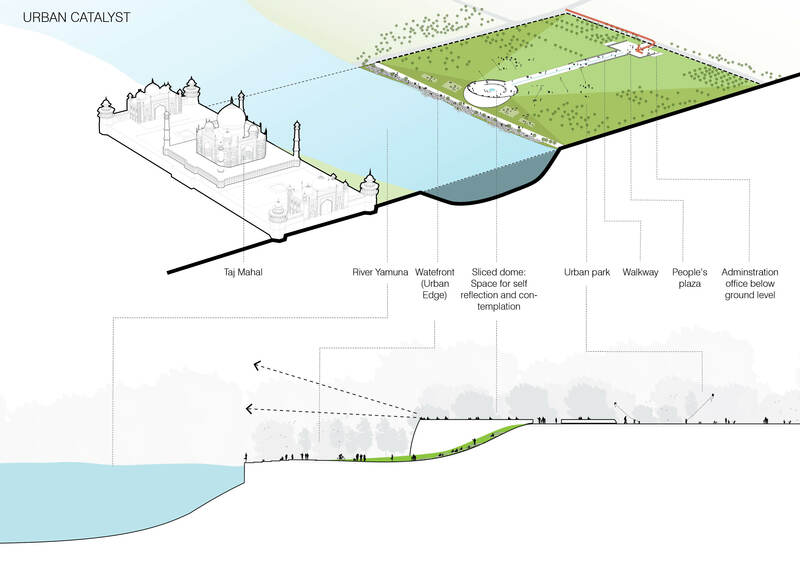 The proposal used this as an opportunity to create a strong visual connection and activating the riverfront environment with minimal built structures. Q. What are the factors (e.g. societal, ecological, urban etc.) that has been considered in this intervention? A.The site is conceived as an urban catalyst that creates space for people of diverse culture to exchange experiences and knowledge. 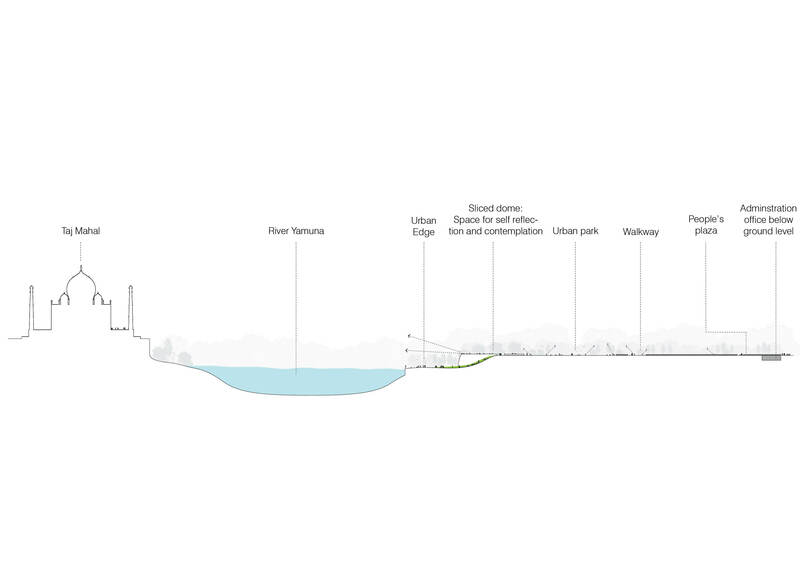 Q.What has been the design concept/methodology behind this project? A.The intervention attempts to create an axis path that culminates at an empty space which is monumental yet human; bold yet calm. 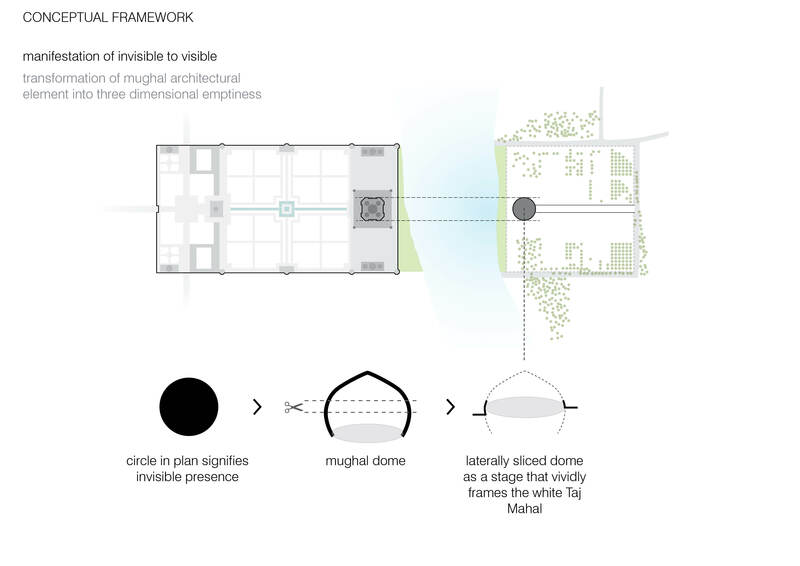 The empty space is circle in plan; symbolizing infinite possibilities and takes form of an arch dome; which is an important Mughal architectural element, sliced laterally below the eye level, so that does not disturb the visual integrity of the Taj Mahal. The spatial quality is conceived to liberate and enrich the beholder’s imagination through the path of transformation and transcendence. Q.What are the functions that has been considered in this program? 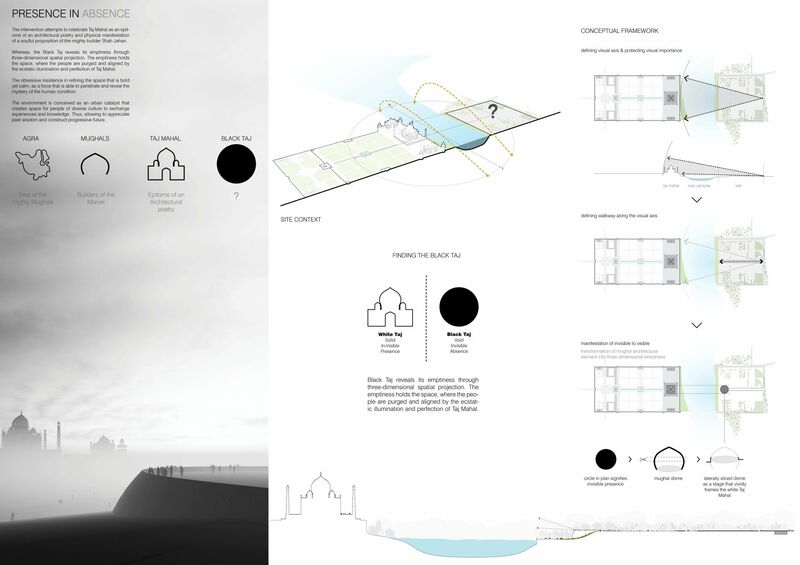 A.The environment is designed as an urban catalyst that becomes a stage for infinite possibilities and framing the Taj Mahal as a mystical backdrop.